The 2018 football season was a great one for the New England Patriots, perfectly capped by securing the title of Super Bowl LIII Champions. Now, one of the most storied teams in the NFL deserves an epic toast and you can do just that with this Super Bowl LIII Champions New England Patriots decanter set, only from The Bradford Exchange. 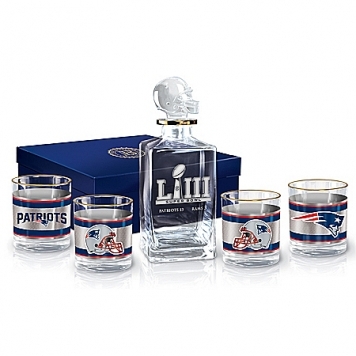 Officially licensed by NFL Properties LLC, this limited-edition tribute includes a handsome Super Bowl LIII glass decanter and four coordinating 12K gold-rimmed New England Patriots glasses. Bold and impressive, it makes must-have Super Bowl LIII Champions memorabilia for Patriots fans.This five-piece barware set is a masterpiece salute to the New England Patriots and their Super Bowl LIII win, from the grand decanter with its fully-sculpted football helmet stopper, and silvery team and championship logos, to the distinctive tumbler-style Patriots glasses emblazoned with team icons and colors. Plus, each piece in the set is accented with 12K gold accents for a winning gleam. 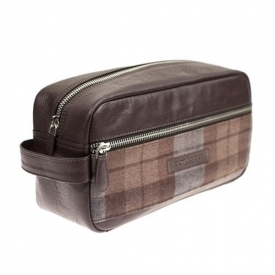 Arriving in a cushioned, satin-lined gift box that doubles as a post-game storage box, it makes a fabulous way to celebrate the Super Bowl LIII Champions and a great New England Patriots fan gift too. 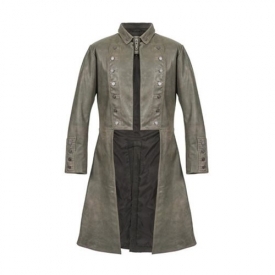 Intense demand is anticipated and it is only available in a limited edition of 5,000, so hurry! Order now!